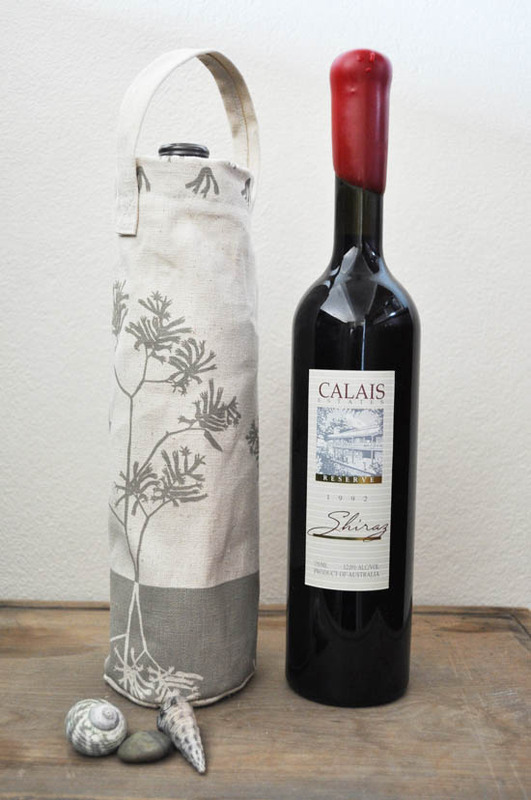 The 'kangaroo paw' design (above) is just one of a number of designs available in the wine carriers / wine totes now stocked in the Pinch River Etsy shop - lovely hand printed products in assorted colourways on stone, latte and silver ash hemp / organic cotton basecloth. A great gift for under $40.00 (including GST and postage prices). With lots of festivities coming our way it's a stylish way to take your wine to BYO restaurants and cafes or even to the Christmas lunch.